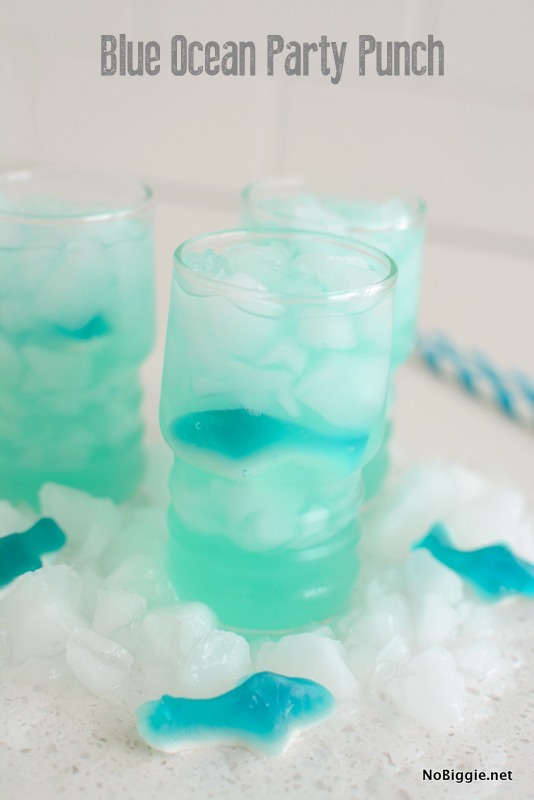 Serve up this Blue Ocean Party punch at your next party! We’re not ready to say goodbye to Summer just yet! 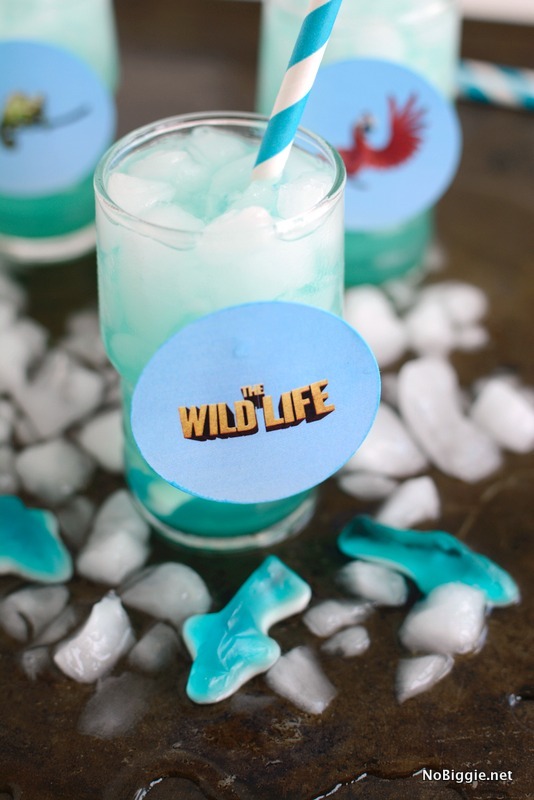 We are making Blue Ocean Party Punch floats in partnership with the new animated movie coming out in theaters everywhere September 9: The Wild Life. The movie looks so cute, and it has me dreaming of warm sunny days relaxing on the beach near the beautiful blue ocean water. Here’s a quick look at the trailer, we’re excited to see it! 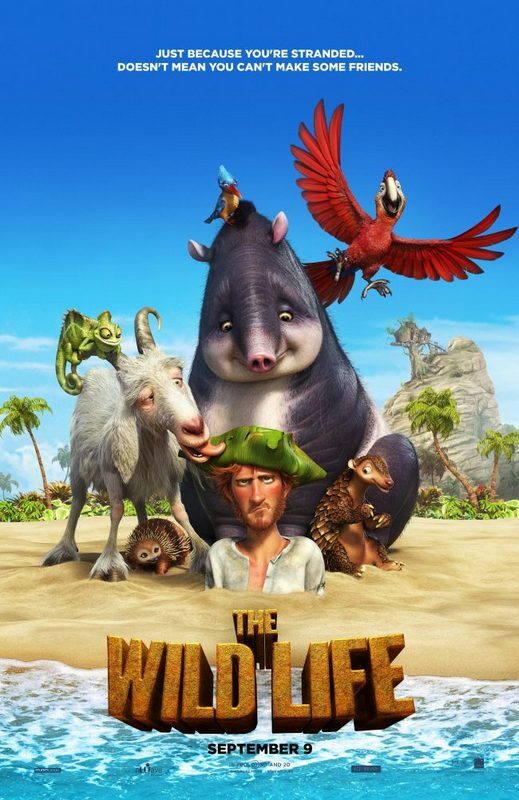 The film features some lively characters including Mak the parrot, Carmello the chameleon, a tapir named Rosie and so many others that your family is bound to love. 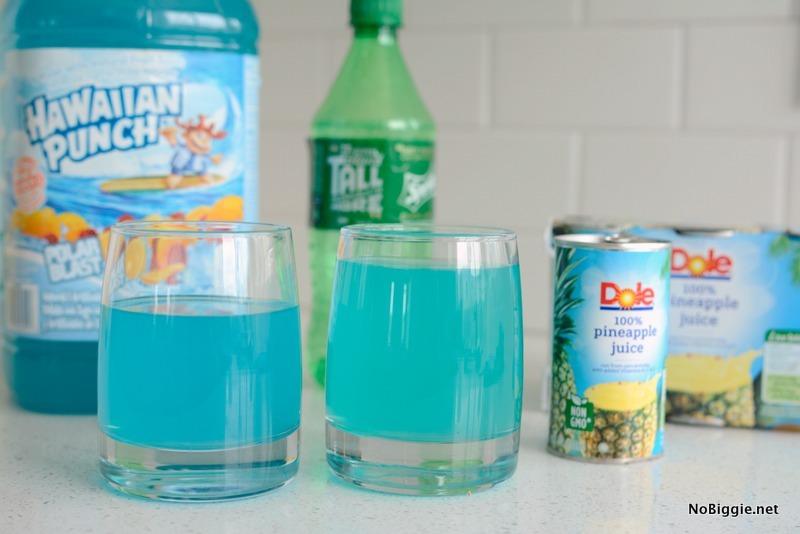 Blue Hawaiian punch, Sprite and pineapple juice. 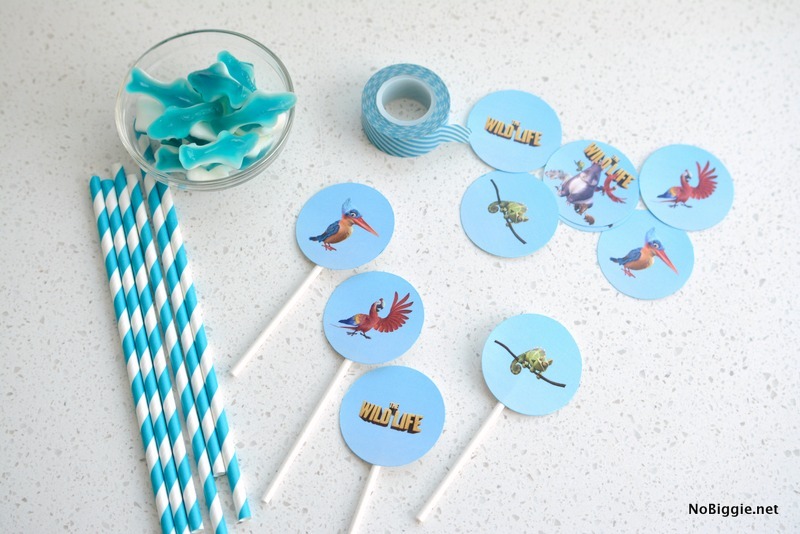 Don’t forget some gummy candy sharks, striped straws and lots of ice! 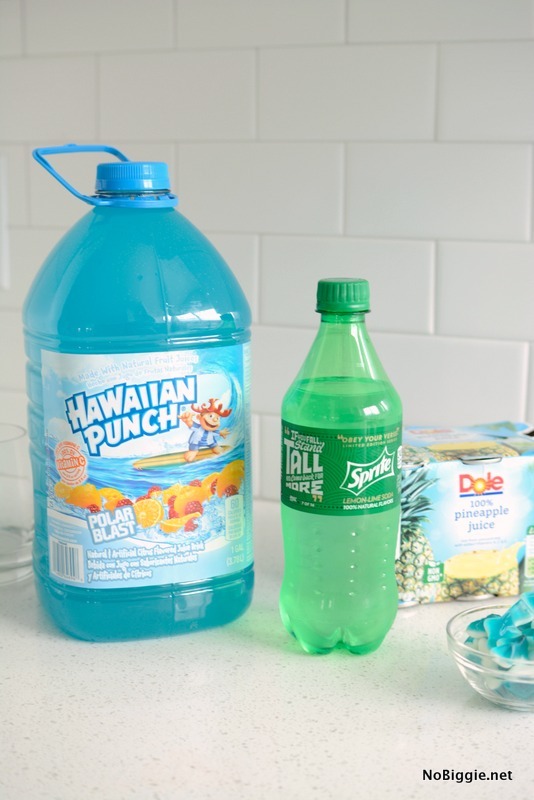 Just fill your glass 1/3 full with the blue Hawaiian Punch, along with just a small pour of Sprite to add some carbonation and the pineapple juice to add a little tropical flavor. I love how the pineapple juice changes the color to more of a turquoise color looking like ocean water. 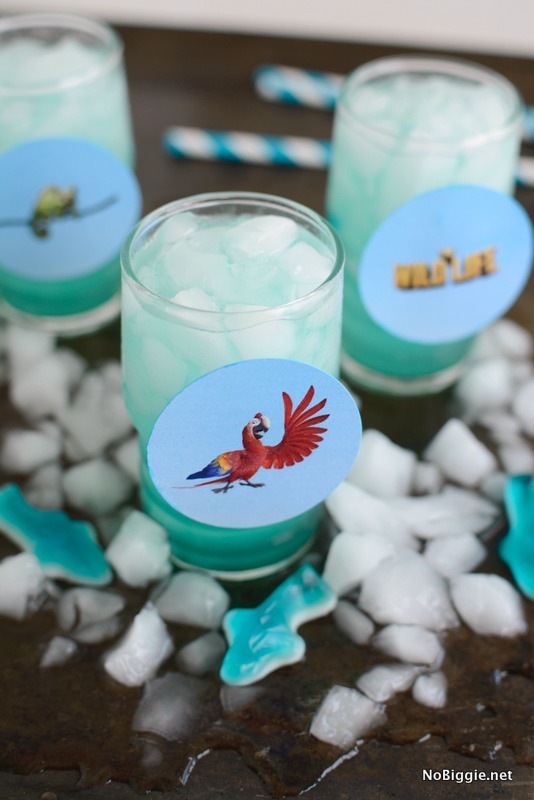 We made a printable of some of our favorite characters from The Wild Life movie to decorate our glasses. This printable will work great as cupcake toppers too! 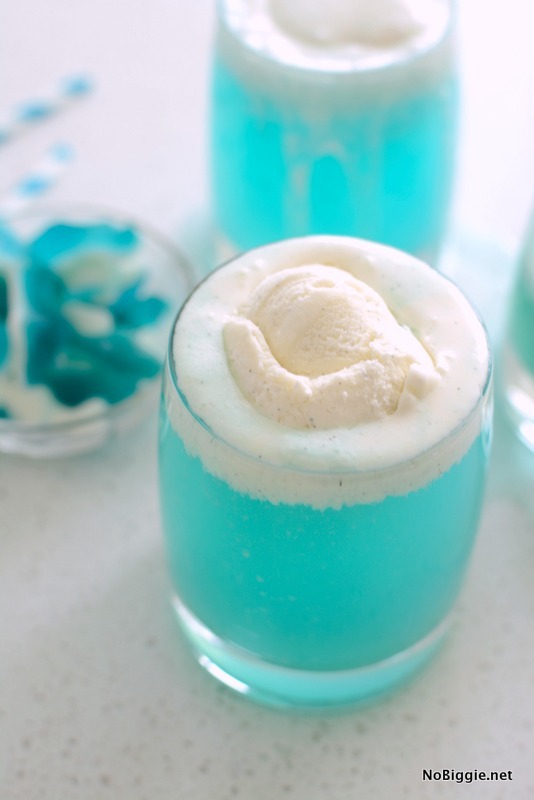 You could also make ice cream floats. If you’re planning a party, it helps to scoop the ice cream ahead of time. 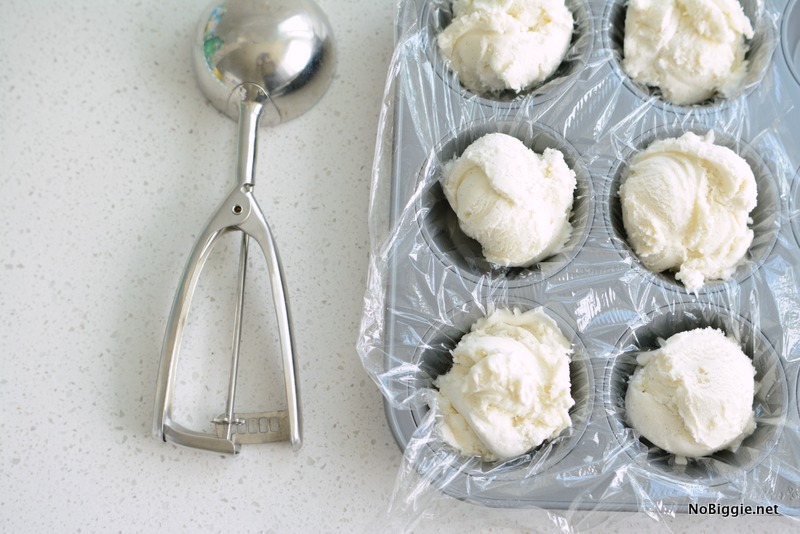 Just cover a muffin tin with plastic wrap to store them in the freezer for easy clean up. Another benefit of freezing the ice cream pre scooped is that it melts a little slower. 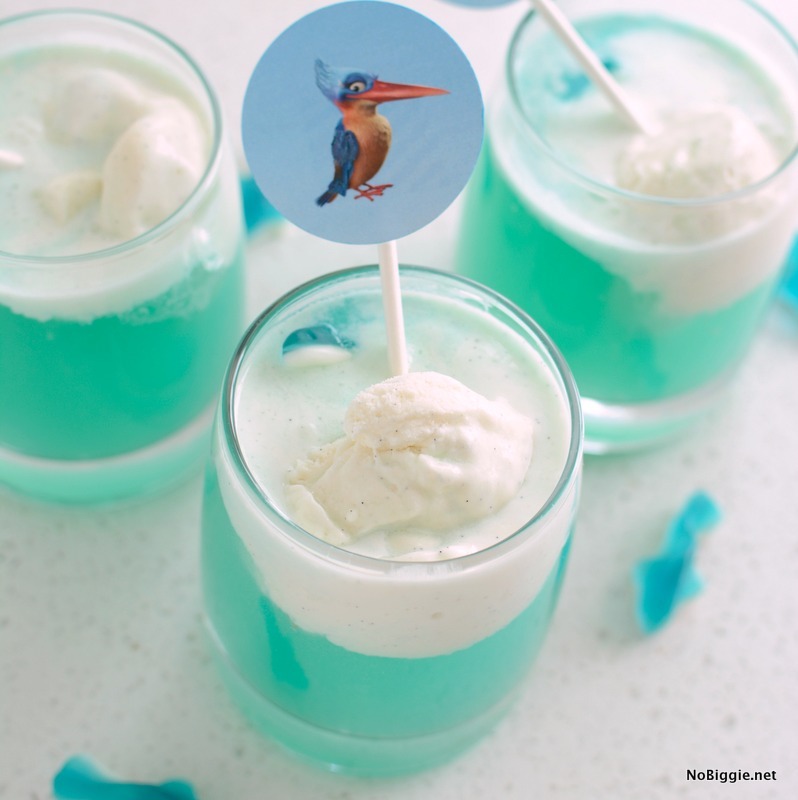 This blue ocean party punch would be adorable for The Wild Life themed birthday party. Things are about to get Wild this September 9, be sure to save the date for your next family day at the movies! We’re excited to see it. It looks really cute! *This post is in partnership with The new animated movie The Wild Life, all opinions expressed are my own.